Dr. Jacqueline Carver, born and raised in Colorado, received her veterinary degree from Colorado State University. She relocated to New York City to complete a one year general internship at the Animal Medical Center where she was named “Intern of the Year”. After completing a three year surgery residency at the AMC, she relocated to Long Island where she has been in practice for over 20 years. 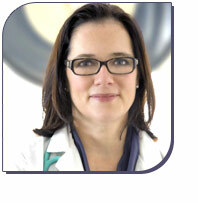 She became Board Certified by the American College of Veterinary Surgeons in 1997. Dr. Carver is always available to discuss the use of “regenerative” therapies such as Platelet Rich Plasma, Hyaluronic Acid, and Stem Cell Therapy. To speak with Dr. Carver or any member of our team, please call 631-587-0800.